My grandmother was born on the family farm near Garniell, and she went to school in Judith Gap. These fields, and the grain elevator nearby, always make me think of her. 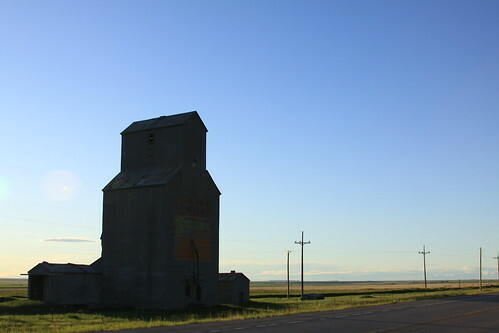 This grain elevator is north of Garniell, past Straw. I think this is at Sipple.